I feel like all of my blog posts lately start with an apology, so I'll refrain from repeating myself and get straight to the good stuff! 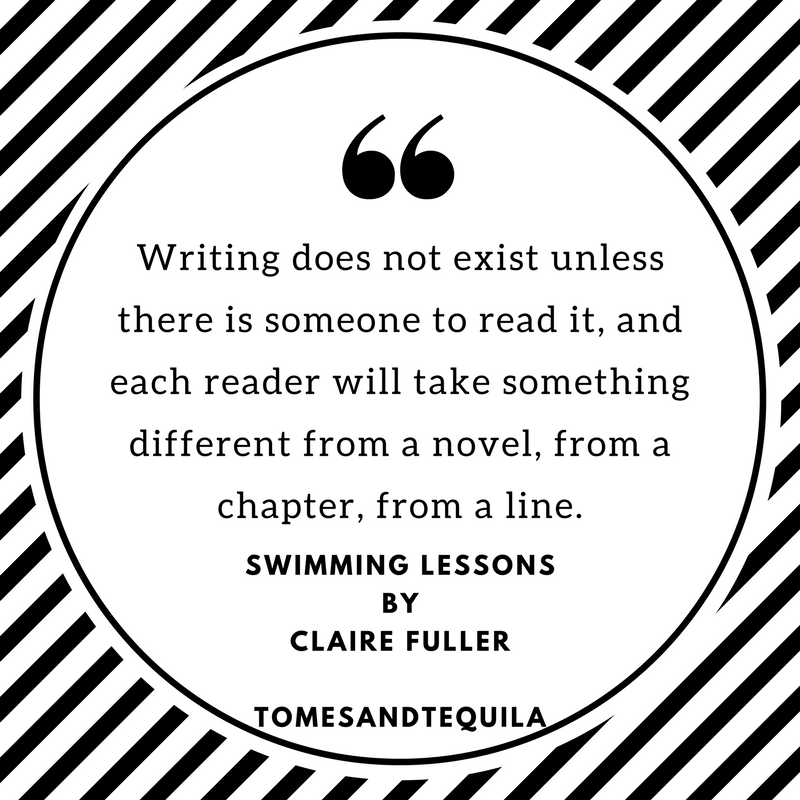 I was really excited to read Swimming Lessons by Claire Fuller. This was a novel I'd heard about, and seen photos of, for AGES before it showed up at the Library. The buzz was good and strong, and I was incredibly intrigued. I checked it out as soon as I could get my hands on it. And then it sat at my house for a while. I do this sometimes. I don't know why. I had picked it up and read the first couple of chapters, and then got distracted by life and other books. 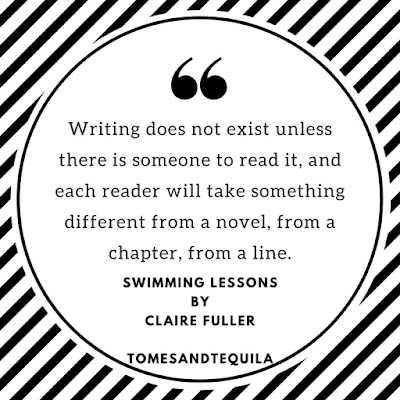 Mind you, my life has been a bit exciting recently...between eyeballs acting up and husbands returning after months away, I haven't been reading as much as I normally do. But I picked it up this weekend determined to give it another shot. Once I actually gave it the attention it deserved, I was hooked. The novel tells the story of Ingrid...told in letters she's left to her eccentric husband in the books he collects throughout their house. The letters tell of their relationship from beginning til mysterious end. The chapters of Ingrid's letters are tucked between chapters told from the viewpoint of her daughter Flora. In the present day that Flora lives in, her mother may or may not be dead...no one really knows for sure. They found her clothes by the water and no body. But her Dad thinks he may have seen her, right before he fell off the promenade and hurt himself badly. When she rushes to his side, along with her older sister Nan, she finds a dad who has become a hoarder rather than a collector. His house is now filled to the brim with books. Her father is also dying of Cancer. What Flora doesn't know is that her mother's story is all around her, hidden in her father's books. The letters tell the story of a woman whose life didn't turn out how she thought it would. Who is broken down by her older husband's mistreatment and abandonment. So...did she drown or disappear? I thought this book was incredible. The writing painted such a clear picture for me of this colorful and eclectic family. I grieved for Ingrid, and the traumatic events she endures. I loved the character Flora, in all of her whimsical naked-walking-around-the-house, drawing-on-her-boyfriend glory!! Plus it was filled with BOOKS. There were literary references left and right. I can't say I was a fan of the father, Gil...but the fact that he collected books for the things that were left inside, and the writings in the margins, just cracked me up. It felt incredibly real and unpretentious. Coming in at 350 pages, it wasn't a light and fluffy read, definitely not a light-hearted contemporary novel...and although labeled as such, not strictly a mystery (I'm not sure I can think of a good label for it!) I am giving this one 4 stars. It's probably more of a 4 1/2 stars (I really wish Goodreads did 1/2 stars!). I think I would recommend it for fans of eccentric family dramas. I have some great books to review for you in the coming weeks. Booksparks is sending me books all summer long to review as part of their Summer Reading Challenge, and I am SO EXCITED for it!! Take a look at my Instagram page for a few photos of the books that have already arrived. 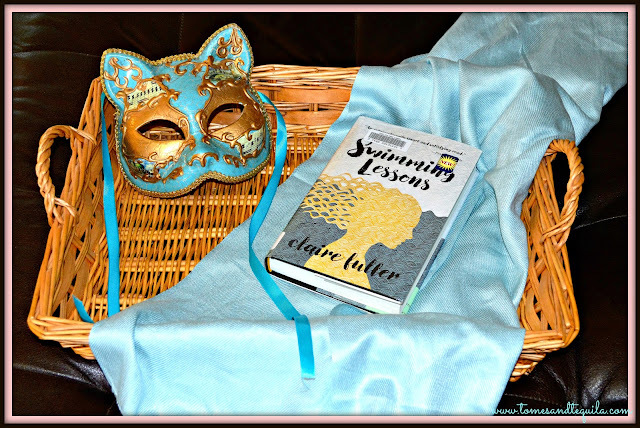 I also have a new Reader Spotlight that I absolutely can not wait for you to read. This woman is so inspiring to me, and her story needs to be shared far and wide. So be sure to follow the blog, and like my Facebook Page, so you don't miss out on the action this summer! !